In feudal England, Elizabeth Montwright barely escaped the massacre that destroyed her family and exiled her from her ancestral castle. Bent on revenge, she rode again through the fortress gates, disguised as a healer...to seek aid from Geoffrey Berkley, the powerful baron who had routed the murderers. He heard her pleas, resisted her demands, and vowed to seduce his beautiful subject. Yet as Elizabeth fought the warrior's caresses, love flamed for this gallant man who must soon champion her cause...and capture her spirited heart! 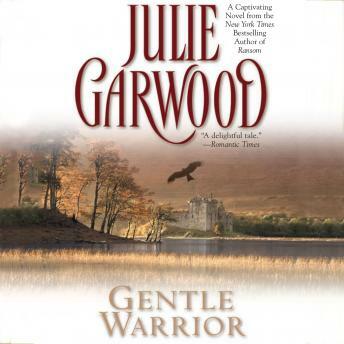 I enjoy Julie Garwood and the way she tells a story.